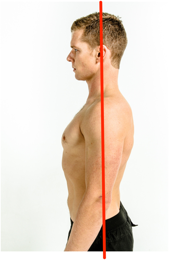 The best posture is a dynamic one with your core and shoulder muscles engaged. When in doubt, move! Avoid staying in one position for more than 20 to 30 minutes. Do mini exercises to adjust muscles that are being put into compromising or stressful positions. Listen to your body. If aches or pains arise, address the problem. ​The height of the wedging table needs to be lower than your working surface. 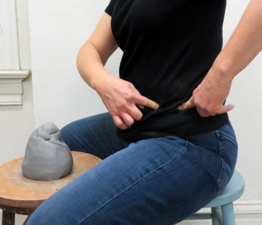 You want to be able to use the weight of your body to move the clay forward. 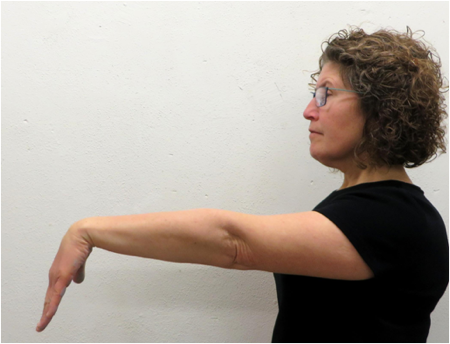 ​The height of the stool and the wheel should enable you to anchor your left elbow onto your iliac crest (arch of the hip bone). 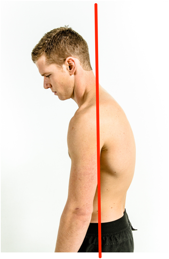 It is recommended that your knee and hip are at the same height.